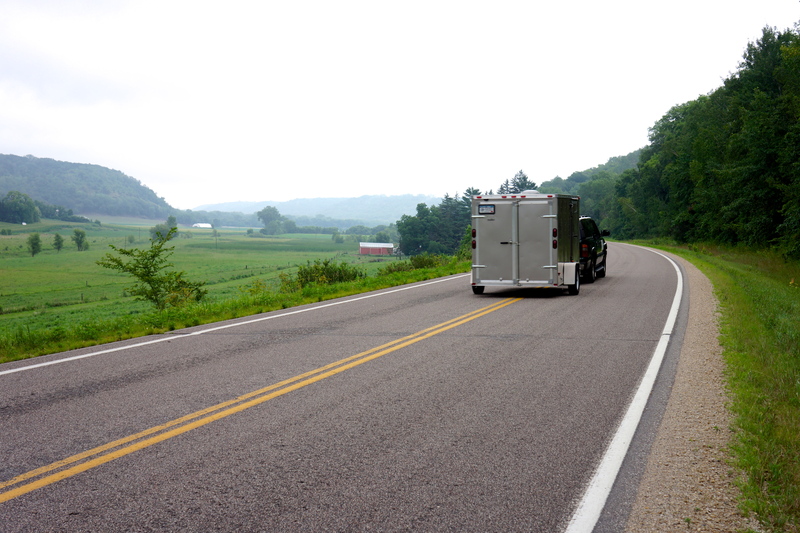 Mile 16: A typical valley scene in Minnesota today (that is our SAG wagon that just passed me). Long ride ride today and surprising amount of climbing in the hilly Minnesota countryside, but the weather was very accommodating (cloud cover, moderate temperatures and humidity, and no rain or threat of rain. Paralleled the Mississippi most of the day, but alternated between riding along the river and on the nearby bluffs through the farms. Had a tough 2 mile climb out of Lake City at a 10%-11% grade to get to the top of one of the bluffs. 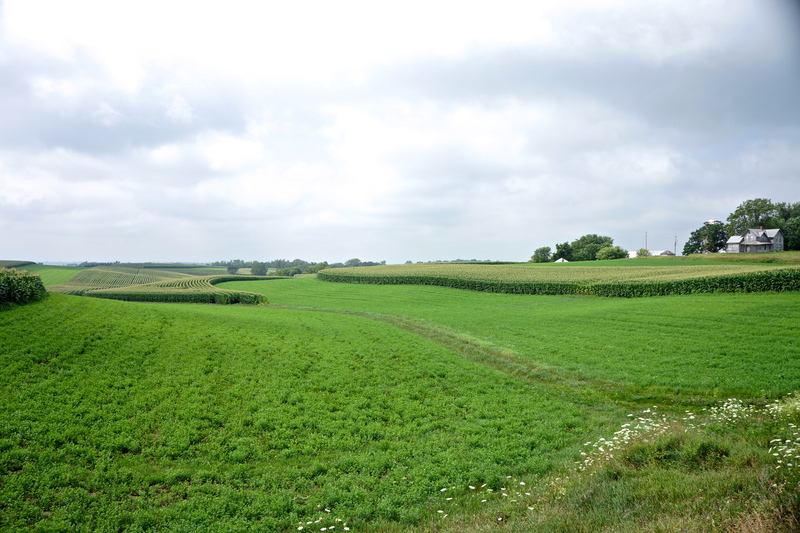 However, the rode was smooth and when we arrived at the top of the bluff it was beautiful rolling farm country. 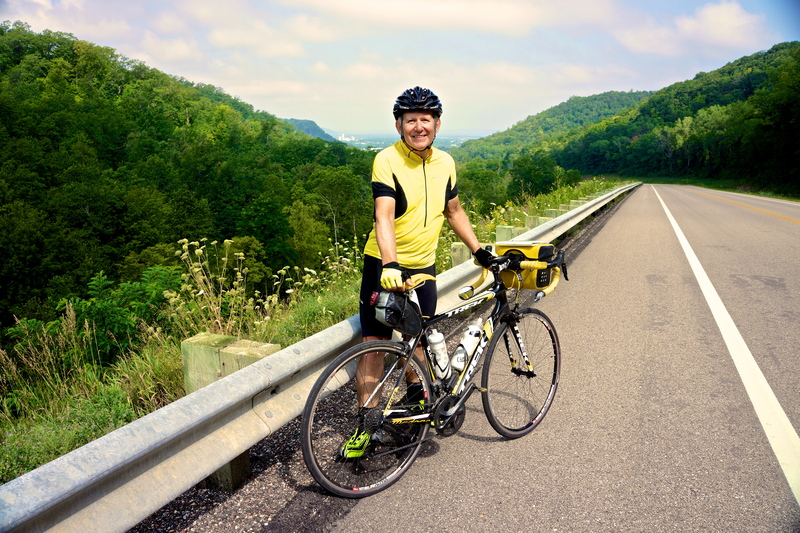 Overall a beautiful day to ride and great roads – thank you Minnesota. Everyone else in the group missed one of the turns after Frontenac, MN and I ended up as the only person to ride the entire route today. Lake City was an interesting river resort town I would liked to spent more time exploring. Over lunch in Kellogg (another great hamburger) Diane shared that she lowered the mileage per day for the tour this year based upon feedback from last year’s group only to find that our group is the strongest group of riders they have had and we could have actually done more. It works out fine in that I have more time for taking pictures, posting the blog and sightseeing. They other riders seem to feel the same. Saw my first fields of corn damaged by drought – very sad. The hotel in Winona (which was not an impressive city based upon my ride through it), Plaza Hotel and Suites, was the best lodging of the trip so far – I even had a flat screen TV in the bathroom. The restaurant attached to the Plaza Hotel was also outstanding. 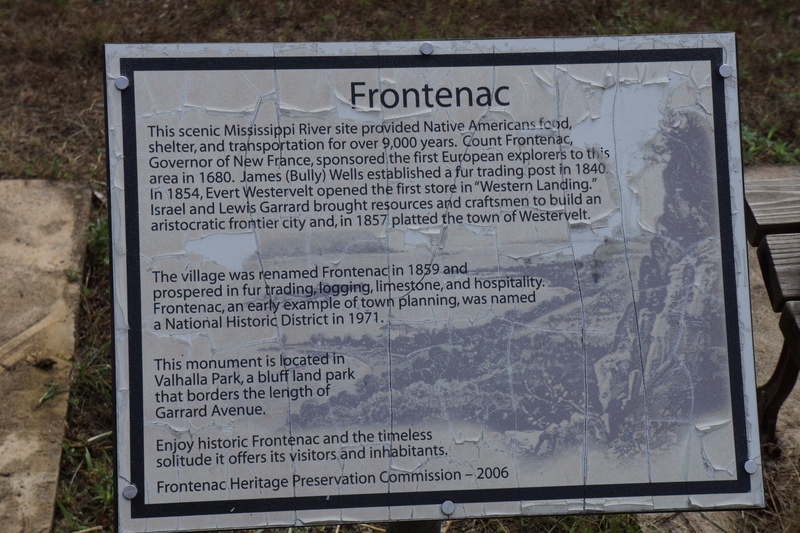 Mile 28: Historical marker in Frontenac, MN on the Mississippi. 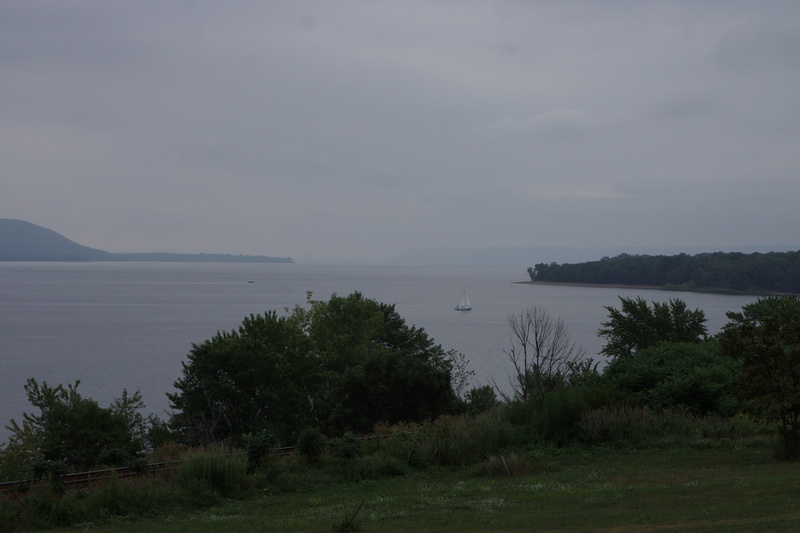 Mile 33: View (with cloud overcast) of the Mississippi between Frontenac and Lake City, MN. 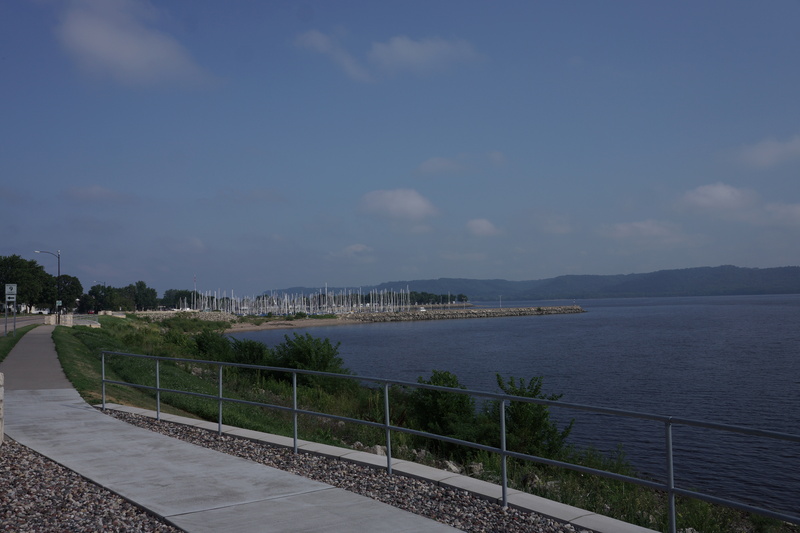 Mile 39: View of Lake City, MN harbor. While I only passed through Lake City on the route today, it seemed like a very upscale river resort town. 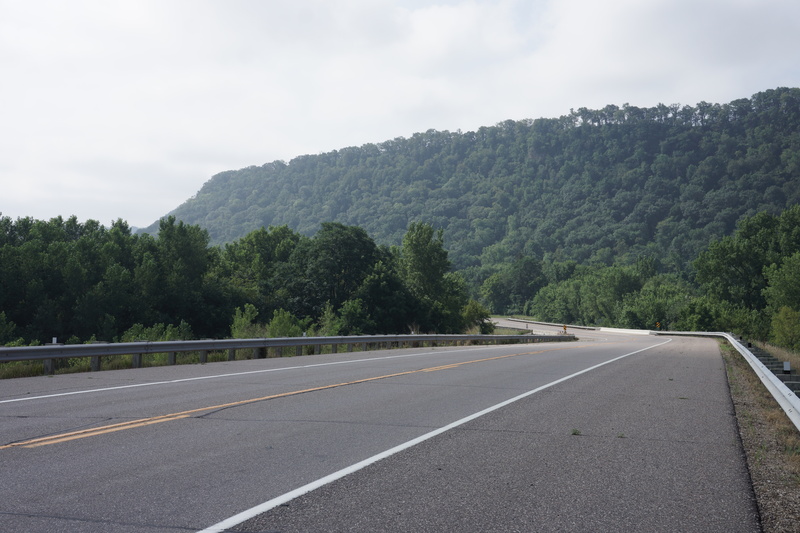 Mile 41: View on Route 61 after leaving Lake City showing the bluffs along the Mississippi. Several times today we biked up to the bluffs (400-700 foot climb) and then back down to the Mississippi River bank level. Mile 44: Half way up a 3 mile climb (4%-8% grade) with Lake City and the Mississippi River in the distance. 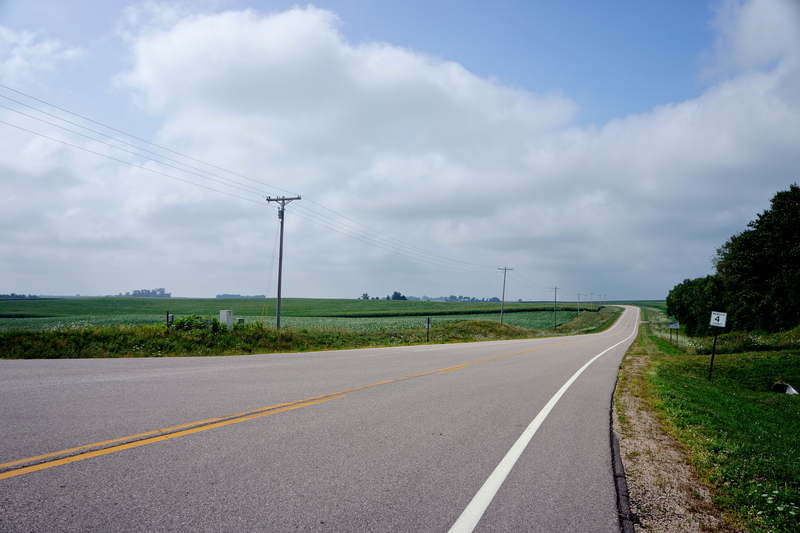 Mile 49: Scene of the rural roads and farms on the bluffs above the Mississippi. This section of the ride today was fantastic, great roads and views. Mile 55: Another scene of the farms on the bluffs above the Mississippi River. 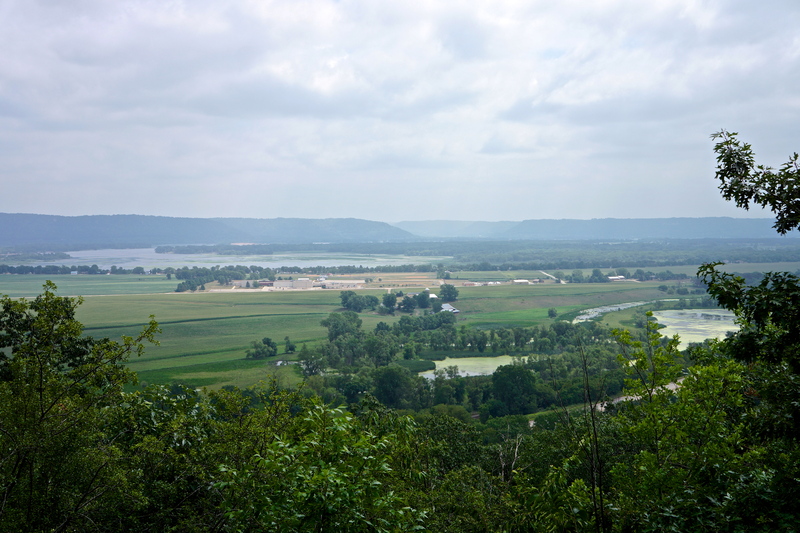 Mile 59: Scene near Wabasha, MN as I am descending from the bluffs above the Mississippi. 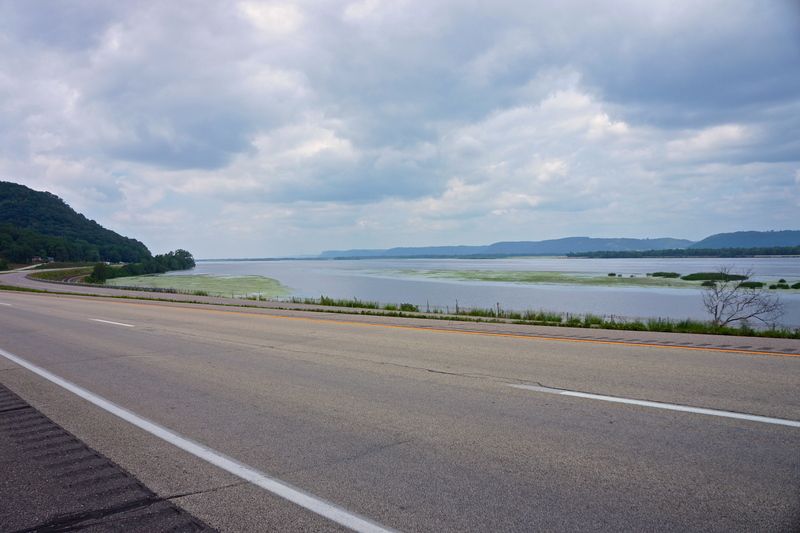 Mile 69: View along Highway 61 as I travel along the Mississippi River. 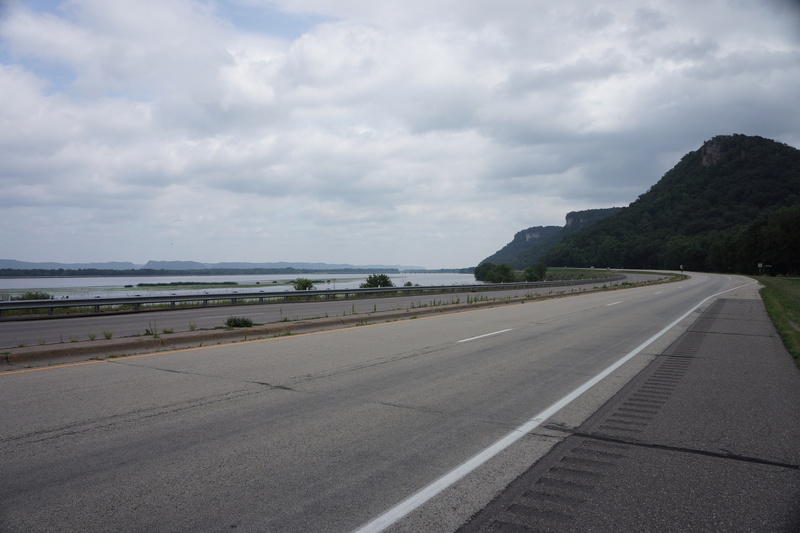 Mile 70: Another view of the Mississippi River and bluffs from Highway 61 near Minneiska, MN. This entry was posted on July 20, 2012 by Steve. It was filed under Photograph of the Day .